Every product is handpicked to meet our stringent quality standard. 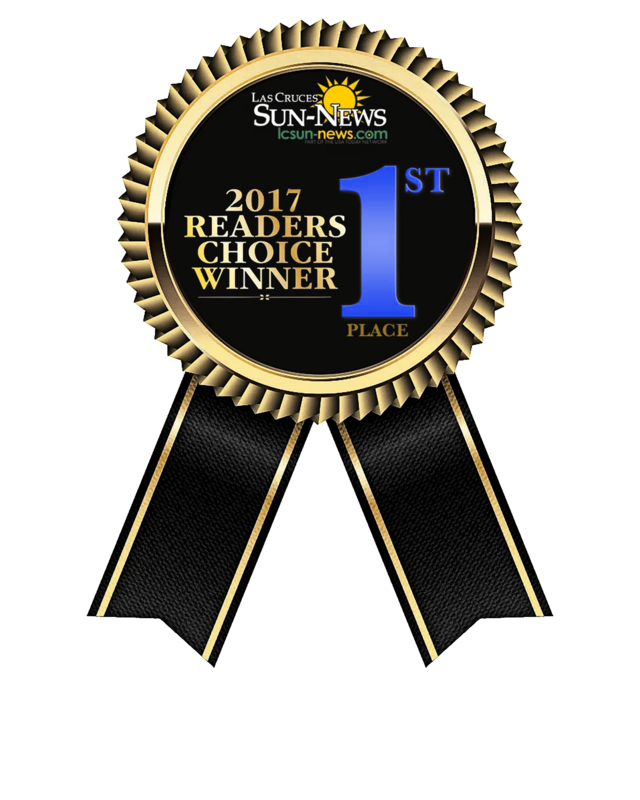 Our friendly and experienced staff can help you pick the product that is best for your animal, whether you have cats, dogs, fish, rodents, reptiles, or all of the above. We want to help you see through the marketing and choose between low and high quality foods with confidence. We want you to develop specific quality requirements for your pet and analyze our products for yourself. Combined with top-notch services including dog and cat grooming, cat boarding, the original do-it-yourself dog wash, and pond services, Better Life is your locally owned and operated, one-stop solution for all your pet product needs. 20 years ago, Kat Lacy began trying to understand the hidden, complex world of the pet food industry. She needed real answers to why her pets were consistently suffering from allergies, skin problems, organ damage and obesity. She started telling her friends about the shocking things she learned, and having the best foods she could find delivered to her house outside of Las Cruces. More and more friends wanted the food she recommended, and Better Life was born. Now Better Life has two stores in Las Cruces. We are dedicated to finding and offering the healthiest food available to the Southwest. We look carefully at the ingredient panels of foods we are considering to offer, where those ingredients come from, the recalls and accountability of the company itself, and testimonials from pet owners who have used the food. Often these testimonials come from the experiences we’ve had with our own animals. Kondos are 4’x4’x8′ and 4’x4’x4′. Each Kondo is handmade, and features a handmade climbing tree, comfortable bedding, and a hidden, fresh-smelling litter box. If you want to get your kitty groomed during their stay, you get a special 10% discount! You also get 10% off on your cat’s food and/or supplies at the time of pick up! *How we feed and handle your pets is entirely up to you – if you don’t want us to give them a special treat or play with them, we won’t! Check out our brochure for more information, or better yet – come by and visit the kitties currently staying with us at 315 Telshor. Prices vary depending upon the size of the Kondo, the number of cats staying, and the amount of special treatment (special food, medication, etc). We offer full-service grooming from highly experienced, certified pet stylists, including Kat Lacy, the owner. We specialize in making grooming and nail trimming as pleasant an experience as possible, working with you and your pets to make grooming visits something they enjoy rather than dread. The Salon and all of our Pet Stylists are AKC Safety certified and Pet CPR certified! Not only can we do general and professional, breed-specific cuts — we groom cats too! As with dogs, we make sure cats have as pleasant and calm a grooming experience as possible. For pets who shed a lot but don’t want to lose their luscious locks, we offer a special Furminator treatment that takes out the shed-causing undercoat for significantly reduced shedding for weeks! Appointments fill up fast (especially if you want your kitty groomed), so call today and get your pet’s beauty treatment scheduled! Check out our brochure for more information, or better yet – call us or come visit to have all your questions answered! 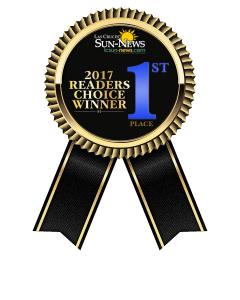 Voted BEST GROOMER 2017 in the Sun-News Readers Choice Awards! 20 years ago, washing her dog used to be a serious chore – Kat would either have to flood the yard with the hose, or strain her back bending over in the tub. She needed to find something better – and Las Cruces’s original Do-It-Yourself Dog Wash was born. Our Dog Washes feature raised tubs with steps leading up to it for easy access and a happy back, with a handy spray nozzle, a blow dryer, shampoo, towels, brushes or rakes, and water proof aprons to stay dry! We have everything you need – all you have to do is bring your dog! DIY Dog Wash opens when we do, and closes about 30 minutes before we close. You don’t need an appointment, but if you’re planning to visit, it’s a good idea to call a little before hand to make sure there isn’t a line! Especially on the weekends. Salt water and fresh water fish, tanks, pond installation, and pond maintenance – we have it all! We will help you learn the do’s and don’t’s of marine, freshwater, and brackish water fish and tank maintenance and help you pick out the fish and fishtanks that are right for you. If you’ve always dreamed of having a pond but didn’t know where to start – we can help with that too! We offer free consultations, pond installation, monthly to yearly cleaning, and a free follow up after the installation to make sure all your questions are answered – plus we sell all the plants and fish and equipment you need to create a beautiful, professional waterscape! We approach aquatics the way we approach all our products and services – we offer only the best, and work hard to make sure you are comfortable and educated about what we offer and what’s best for you. Check out our brochure for more details, or better yet – call or come visit! Our friendly, experienced fish guys are there to answer all your questions. Come visit us and learn how we can help your pets live longer, happier lives!